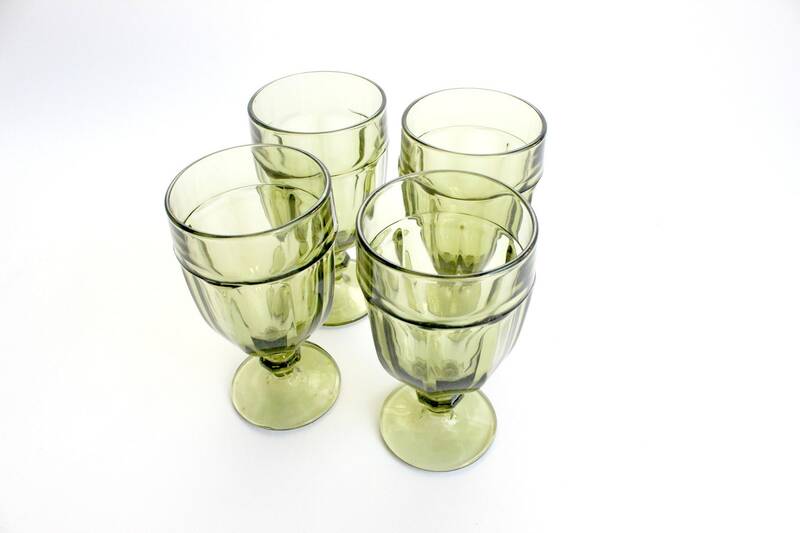 Set of 4 - Green glass water goblets. 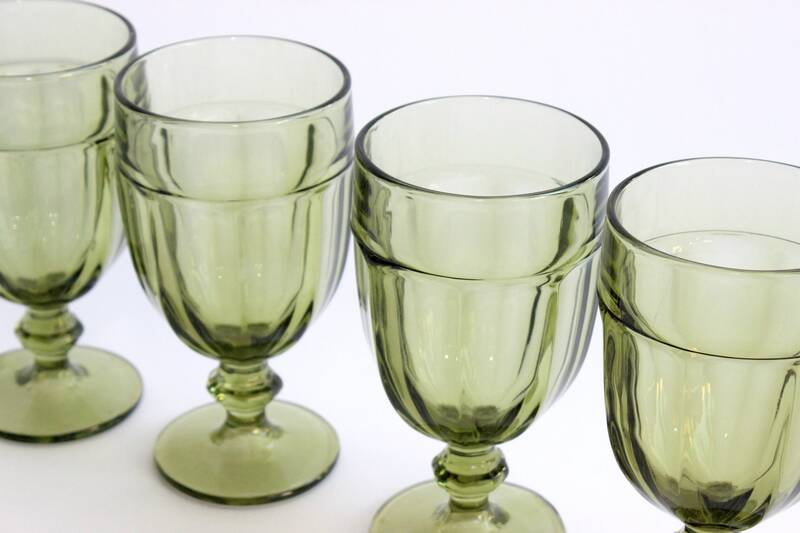 Large vintage tumblers perfect for iced tea or lemonade. 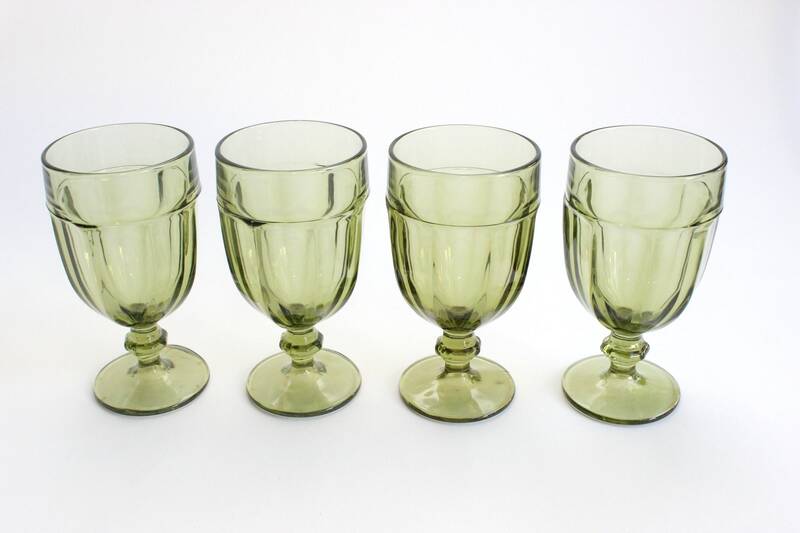 Pedestal style drinking glasses with a round base. 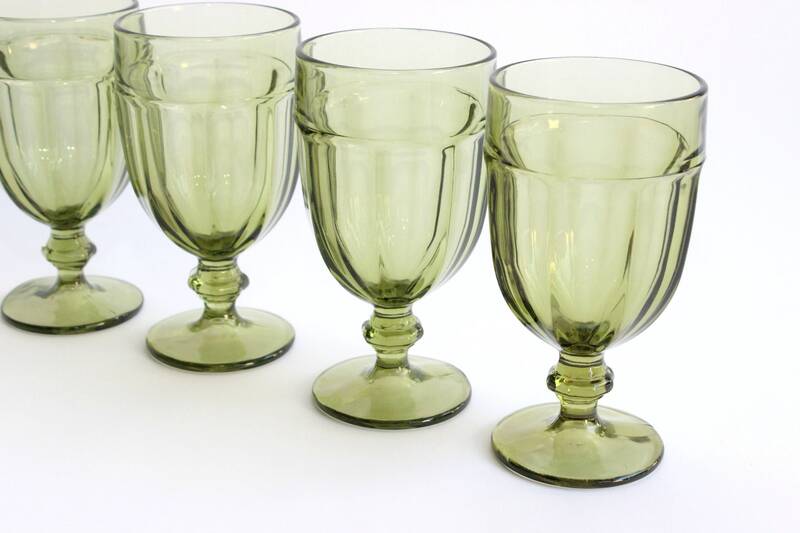 These are big glasses with a nice weight to them. 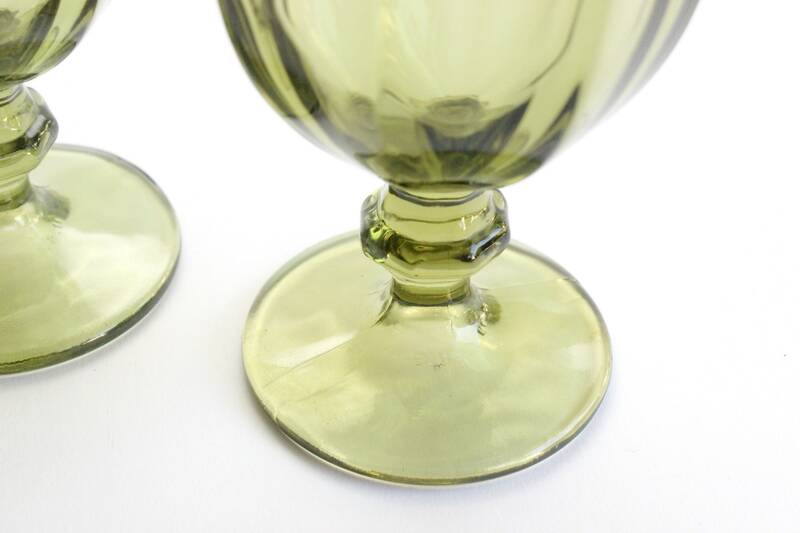 Glasses measure 3.5 inches across and 7 inches tall.